For more than 30 years, Wendy Stevens has built an illustrious career and business designing and producing metal handbags by hand. A devastating fire changed everything when her entire workshop—and years of templates she created—were destroyed. 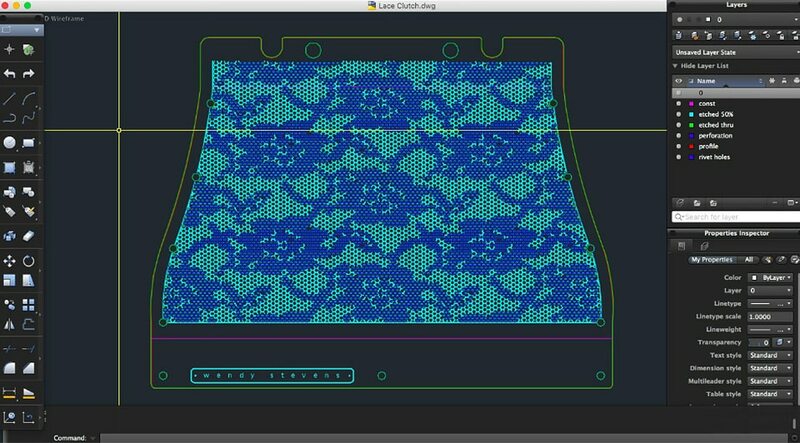 Stevens decided to learn AutoCAD LT and quickly realized the advantages of digital design with increased speed and accuracy for her handbags. With no experience in metalworking, Stevens set out learning the craft—acquiring equipment and even asking plumbers in her building for tips. Over time, she refined her handmade bags into, quite literally, works of art featured in museums and in Vogue magazine. 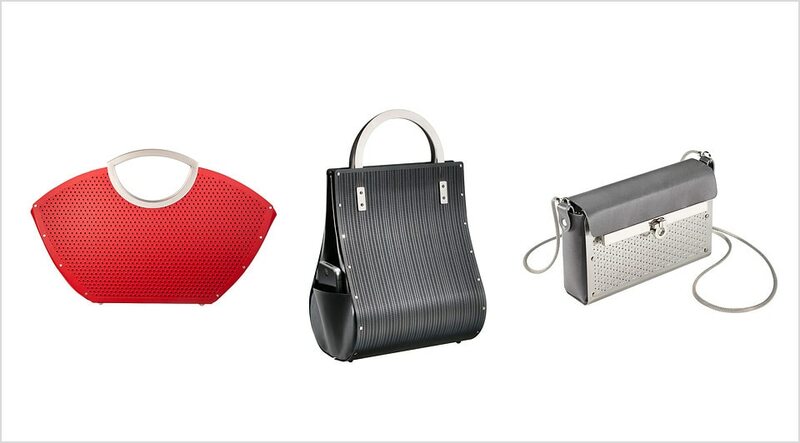 Assortment of Wendy Stevens’ metal handbag designs. Photos by Stuart Tyson. After leaving New York City in 1997, Stevens moved to rural Pennsylvania, setting up her business and studio in a converted barn. She stayed “low-tech” until a devastating fire 12 years ago. It wiped out her entire workshop and all of the metal templates she had hammered and created over the years; she had never done any drawings. As she looked to rebuild her business, she met with a man who owns and operates a photochemical-machining company that etches sheet metal (and now etches her metal today). He gave her a big reality check. Metal lace clutch designed and made by Wendy Stevens. Photo by Miana Jun. It became readily apparent that it was time to embrace technology. Stevens enrolled in an AutoCAD LT online training class and went on to find other resources and help at a local university to learn the software. Within a year, she went from destroyed templates to completely digitized resources—and an entirely new approach to her business. Stevens continues to form every bag by hand with the help of a press brake, a series of slip rolls, a hand brake, and an assortment of small hand tools. But AutoCAD LT freed her to explore new design opportunities she simply couldn’t do before. The photoetching possibilities with metal have completely transformed how she works. 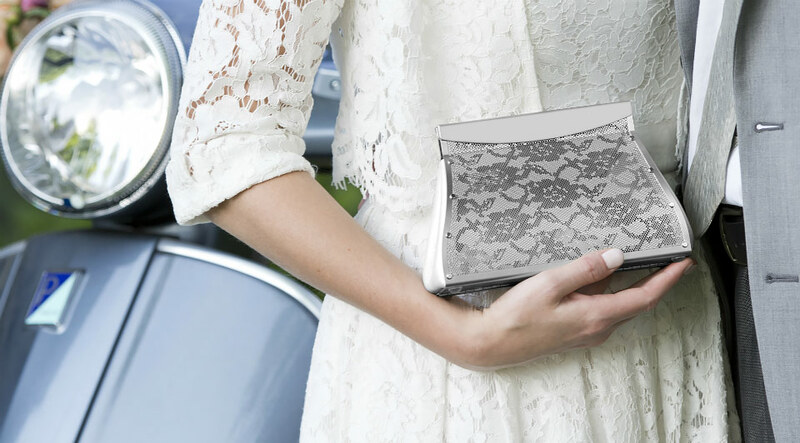 Today she has more than 140 handbag designs in AutoCAD LT.
Metal lace clutch design in AutoCAD LT. Courtesy of Wendy Stevens. Create 2D drawings faster and with more precision with a subscription to AutoCAD LT.